The University uses more than 350 buildings scattered all over Bonn. The most impressive site is undoubtedly the historic Main Building located in the city center. It was originally the palatial residence of the prince electors and is now home to the arts and the theological faculties. Together with the adjacent Hofgarten park, this architectural landmark is an important ingredient of the University of Bonn's unmistakable charm. The University, its faculties, centers and facilities form a city within the city. And both of these cities are closely intertwined. Everywhere you go, you come across students and the academic world. 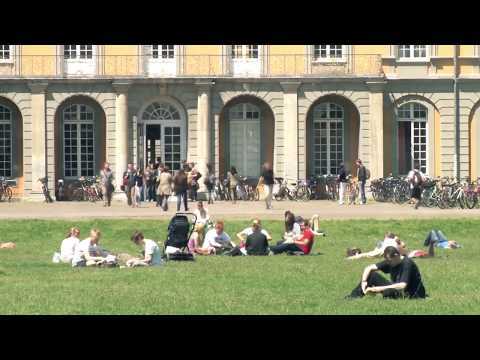 Bonn and its University form a harmonious and intimate unity. Other important university sites include the Juridicum, for Law and Economics, located a short distance south of the Main Building, the grand buildings in Poppelsdorf, which house the agricultural and natural science faculties, and the University Hospital, set high atop Venusberg.